BY BURNING LOGS AM I DAMAGING THE WOODLAND? Iliff, who writes this website, lives surrounded by his ancient woodland and has been burning wood for most of his life. 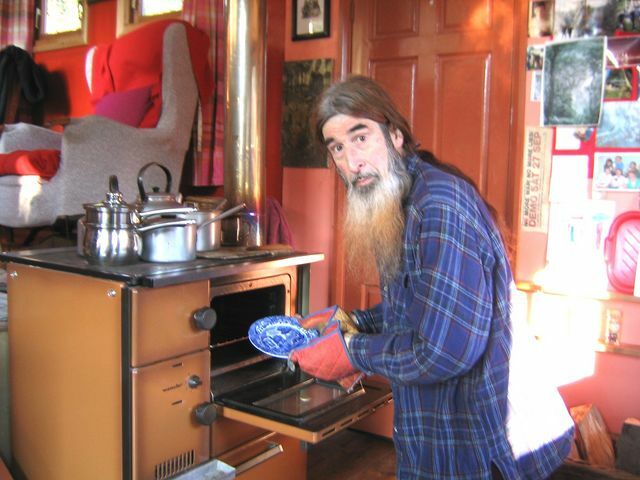 This provides his heating, hot water and cooking. 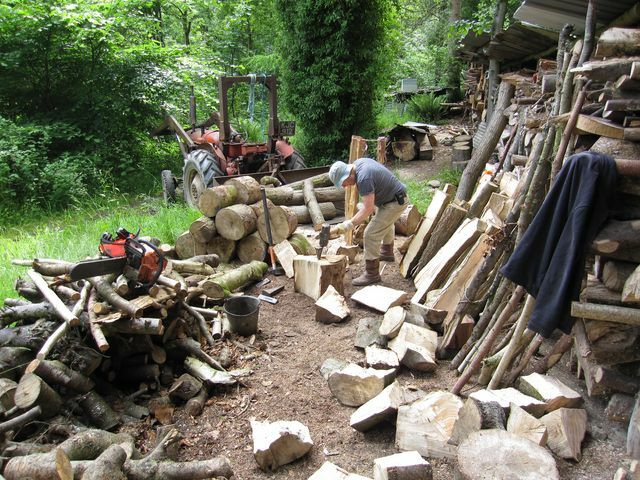 It sounds idyllic; organic logs from his ancient woodland - surely cheap, sustainable and environmentally friendly? So why is he considering changing over to bottled gas? Our Woodland Culture (See footnote) died in the last century. Firewood is the last remaining asset of commercial value. Vast amounts are being taken with little or no regard for the effect on the woodland ecosystem. As a result our woodlands are being degraded and are in their worst condition for centuries. Once our eye becomes accustomed, it is apparent that this situation is universal. In common with many other woodland owners, Iliff received a government grant some years ago to ‘blanket thin’ his woodland (See webpage). The result is that he no longer has any trees he is prepared to fell. If only he had made glades (see Glades webpage) to rejuvenate the woodland, it would now be in far better health, and there would be trees to fell for logs. As it is his woodland needs many decades to recover its health before it can be productive again. So it is important that intervention is no more than minimal year on year; effectively giving a helping hand rather than one major intervention and then nothing for decades. 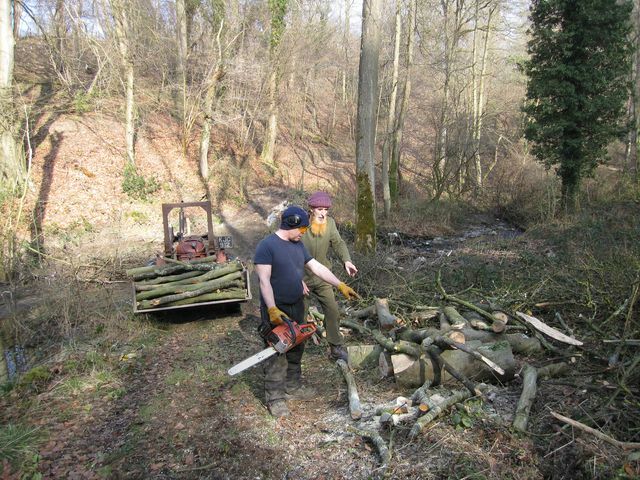 A Decaying Wood Policy is essential in restoring the health of the woodland, whatever your long term objective. To achieve this the aim must be to dramatically increase the amount and variety of decaying, dying and dead wood. In wholly natural unlogged forest there can be vast amounts of decay and recycling, stimulating new growth and a healthy, vigorous woodland. The removal of firewood disrupts this process. Diversity of decaying wood is essential - on the ground, in the branches, even standing trees. Trees with cavities are especially valuable. 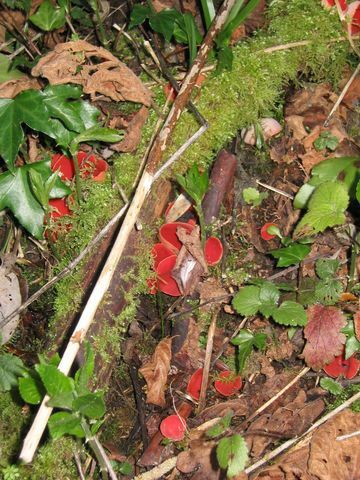 These must be at various stages of decay, from newly felled to advanced decay and replenished year on year. There can never be enough. (See webpage on decaying wood. The policy is in preparation). The Woodland Carbon Cycle (See footnote) Is the key component. 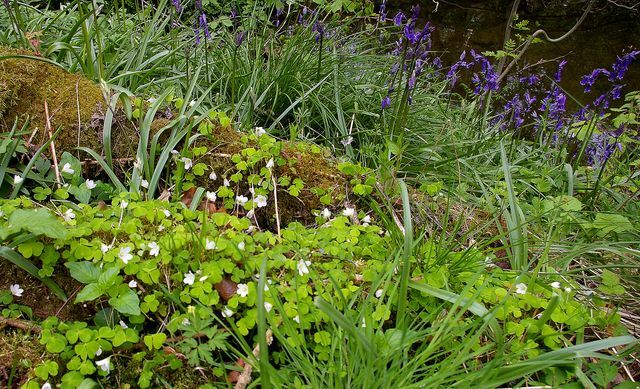 This is essential for recycling nutrients and restoring the health of the woodland. Intervention by removing logs and leaving little or nothing to decay damages this crucial cycle. (Webpage on The Carbon Cycle in preparation). Fell no more than 3 or 4 trees for yourself year on year. Do not fell a lot in one then nothing for a decade. The smaller your woodland the greater the impact. Doing nothing will reduce the habitat diversity, showing for example in fewer birds. What ever you expect of your woodland, please leave some wood to decay. Not just the brushwood but also some bigger logs. (New webpage on decay in preparation). Air dry for three summers; outside, under cover, catching the sun and well aired, will in Iliff's experience, greatly improve the way the logs burn; you will have greater control, the logs burn hotter, and you will use less wood. As a result there will be less ash to clean from the flues, and greatly reduced the risk of a chimney fire. Bought logs are frequently full of sap that has to be burnt off and lost as smoke up the chimney sooting the flue. To prevent this you must air dry them before use. You shouldn’t buy any logs without first looking at the woodland they came from. How much decaying wood do you see? 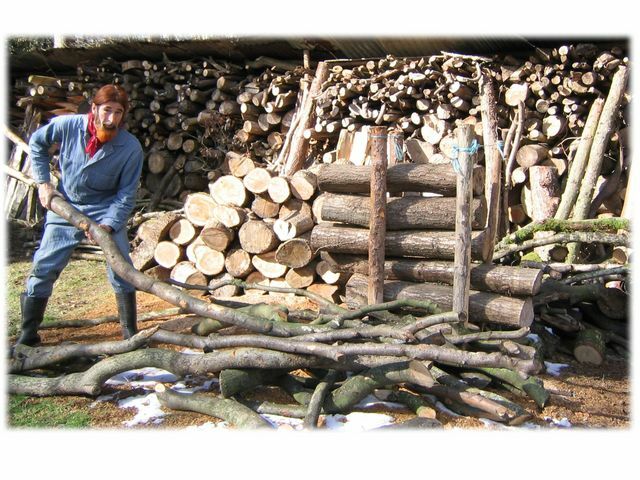 Felling, transportation, chopping, stacking and drying logs are time and labour intensive. If you purchase logs this is reflected in the cost. Lighting the fire, clearing the grate and cleaning the flues is also time consuming. If you are unable to cut and spilt the logs experienced help can be costly. Wood smoke is a danger to your health. In New Zealand they take this very seriously, (see footnote) as burning firewood contributes to local air pollution and associated illness. A note for log merchants. Leave half what you fell to decay and advertise your logs as environmentally friendly 3 year dried. Obviously dried logs cost more, so stock freshly felled logs as well and let people observe the difference. Be prepared to give the name of the woodland the logs came from. The cheaper the wood stove. 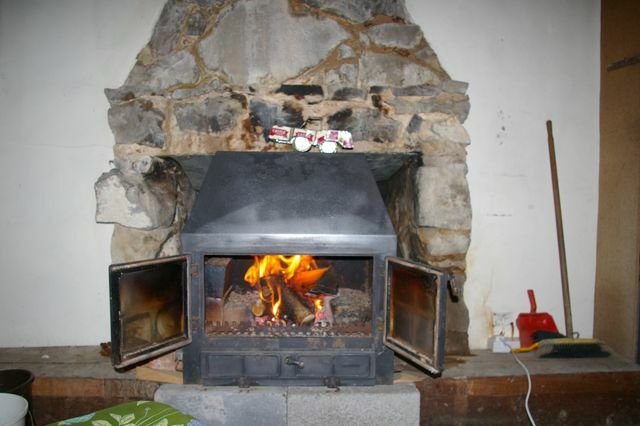 A cheap woodstove is generally less efficient and thus the more wood you can expect to burn. It is well worth considering a more expensive model if it is well designed. Installation should be done by someone with relevant technical experience as wrongly installed they can constitute a health hazard (see footnote on Wood Smoke). Spring flora in Iliff’s woodland. This log on which this flora is flourishing would likely have been burnt were there not an awareness of the importance of leaving logs to decay. The primeval forest requires vast amounts of decaying wood alongside standing trees in order to function and support a rich diversity of life. Based on decades of observation, practice and reflection, Iliff now acknowledges that by burning wood he is damaging his woodland. 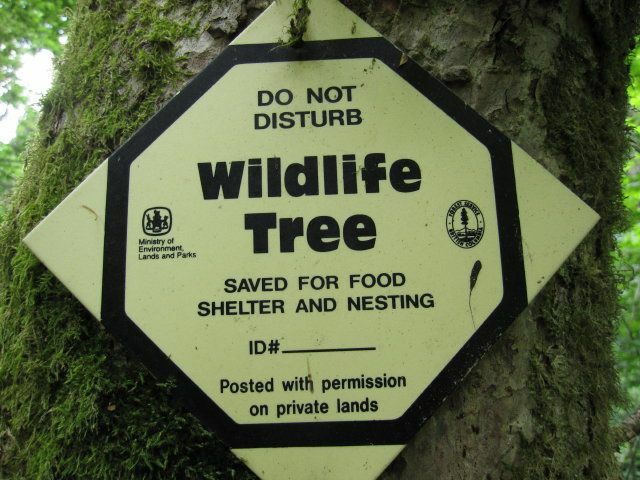 The practice is counter-productive to the concept of Natural Forest Practice (see footnote) where the primary aim is the restoration of the ecosystem as a whole. He therefore recommends that if you are thinking of investing in a wood-burner - don’t. Or if you already have one, at the very least please ensure your logs are sourced from a woodland with a Decaying Wood Policy. Iliff's overall conclusion is however that gas is the least damaging option. Woodland Culture is a term Iliff uses to describe a holistic approach to working in woodland; it is an appreciation of what a healthy woodland ecosystem looks like, understanding how it evolves, its inter-connections with the past, present and future, and the impact of human intervention. Natural Forest Practice is the term Iliff uses to describe his approach towards a new woodland culture for the 21st century and beyond. Its central philosophy is the restoration of woodland health to that of the primeval forest through close observation of the interplay of natural systems and by working in harmony with forest time and nature. A key element of the Woodland Carbon Cycle. 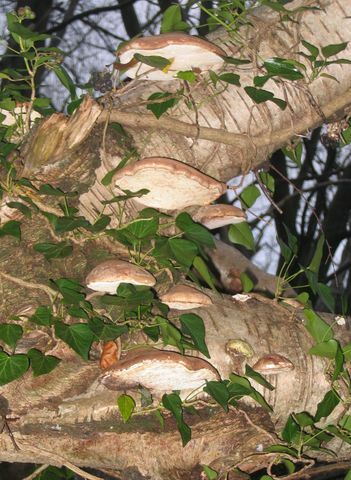 For example, bracket fungi on a fallen tree that is breaking down the wood, releasing nutrients for new growth. A single tree felled for firewood in the author’s broadleaf woodland creating a glade where new growth can thrive. Brushwood decaying on the ground colonised by Elf Cup fungi breaking down the wood and recycling the nutrients through the roots of the trees. (photo - on an organic farm in England). Transporting, splitting and stacking logs is time consuming and labour intensive, if you can’t do it yourself you must pay someone else, which is more costly. Logs that are air dried in the open and and under cover for three summers burn hotter, the flues don’t need cleaning so often and the risk of a chimney fire is significantly reduced. An old woodstove that is very inefficient consuming a lot of wood to warm the room.